Home announcements Apple Business Mobile Content Mobiles News Research Apple VS Samsung Patent Trial – Verdict Reached! 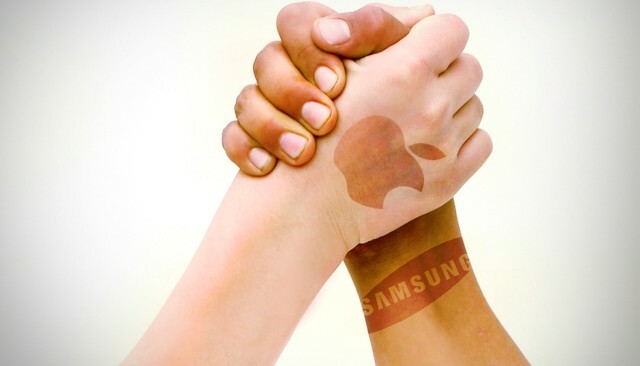 Apple VS Samsung Patent Trial – Verdict Reached! Given the complexity of the issues the jury of nine at United States District Court, Northern District of California, San Jose Division had to deal with, it has been quite a long time till the 20-page verdict has been reached. • $57 million for the Samsung Prevail. However, this is not all. Apple has filed to have 8 of Samsung’s devices banned from the market, majority of which represent the Galaxy S line. The list of devices that Cupertino-based company attempts to ditch from the market include Samsung Galaxy S II for T-Mobile, AT&T, the Epic 4G Touch, the Skyrocket, the Galaxy S Showcase, Galaxy S 4G, the Samsung DROID Charge, and the Samsung Galaxy Prevail. Each “X” in the table provided below reflects a jury finding in Apple’s favor, so check it to find out which phones are violating which patents. It seems we’ve come up to the most important part of the story - Samsung has recently sent out memos to its employees, commenting about the lost lawsuit. You can take a look at the full version of the memo distributed by Korean manufacturer to its employees below. “We initially proposed to negotiate with Apple instead of going to court, as they had been one of our most important customers. However, Apple pressed on with a lawsuit, and we have had little choice but to counter-sue, so that we can protect our company. However the final verdict has yet to be made about banning Samsung products in the US market. Whatever the case may be, Apple has already won not only the lawsuit, but the reputation and $1.049 billion, of course.